MRBike is bike rental, bike tours and bike repairs. 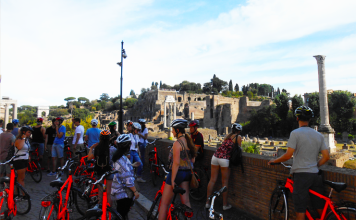 Our aim is to let you experience and see the best of Rome in a fun and ecological way! We offer high quality orange bicycles at very good price and we are specialized in bike tours and in bike assistance during rental/tour period or whenever you have a problem with your bike. 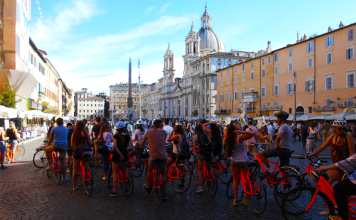 We trust in bicycle not only as a form of transportation but also as the best way for anyone to discover a place… still better if you are in a beautiful city like Rome. Many of the hidden gems of this Eternal City can be discovered in this way! 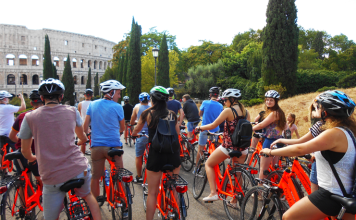 MRBike offer a comprehensive service tailored to suit our client’s needs, from bike rental to guided tours, bike delivery and pick-up service and bike repairs. We offer a large selection of bikes, from road bikes, bikes for children, mountain bikes, trekking bikes and electric bikes. MrBike provide you with all the necessary accessories; booster seats for children, top quality helmets, bike locks, night lights and baskets. 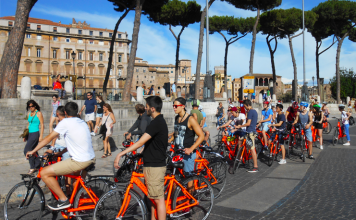 Our aim is to ensure our client has a fun, safe and memorable bike experience in Rome! MRBike is near the Coliseum, in St. John district. We are a young, dynamic and flexible company that is rapidly growing. We assume that this growth is due to our attention to our client’s needs. We inform our customers that the store will be closed on 21 and 22 April.